Click HERE to download the printable page. 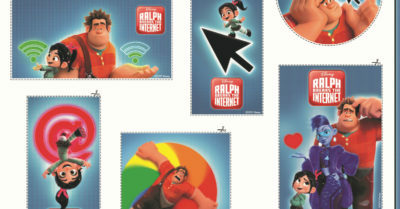 The Shrek stickers can be printed on sticker paper, if you have it. Otherwise, regular paper and a glue stick will do. 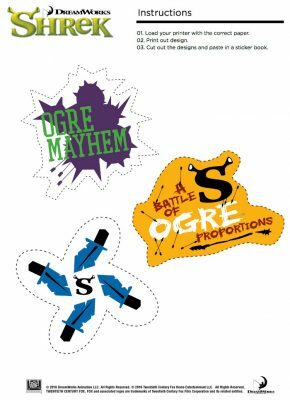 Click HERE to download the printable Shrek stickers featuring the ogre kids. 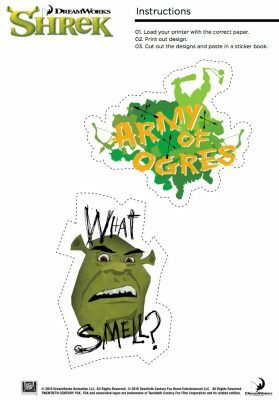 Click HERE to download the Shrek sticker page. You can print on sticker paper or on regular paper to use in craft projects. 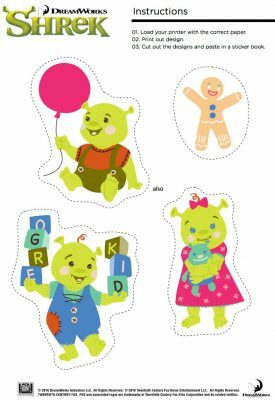 Click HERE to download the printable page/ Then you can print, cut out and have fun with these Shrek stickers. Click HERE to download the stickers. 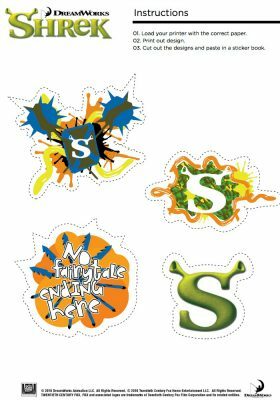 If you have sticker paper, you can print the Shrek sticker page on that. If not, regular paper or card stock can be used to make your own stickers by using a glue stick after you’ve cut out the shapes.